Husband. Father. Former Rocket Scientist. Lee is the founder and head coach of Fort Worth's premier strength and endurance gym. 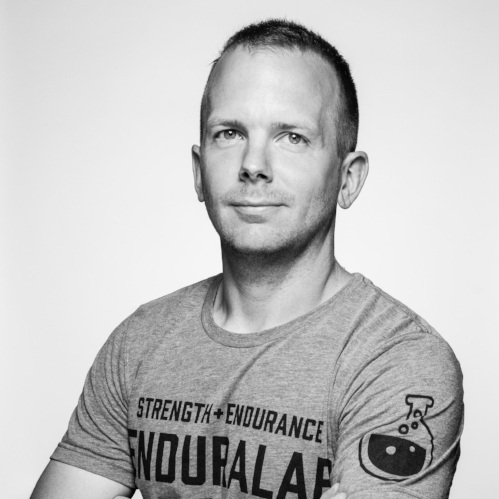 Lee created enduraLAB in 2011 and continues to inspire and lead individuals to long-term health, fitness and happiness. Wife, mom, coach and third grade teacher. Isis is passionate about creating healthy but delicious foods. She knows her macros and believes in the food prep. Isis believes everyone has the potential and wants everyone to take pride in their health and wellness. Energetic and enthusiastic mother of three, wife and coach. Caroline is passionate about nutrition and coaching whether it’s a group class or personal training. She is fully committed to delivering programming services that fit an active, busy lifestyle. Husband. Dog lover. All-around nice guy. Chris has coached athletes through local and National levels in Weightlifting, CrossFit, GRID and competitive gymnastics. He was a competitive gymnast and coach for many years prior to competing in weightlifting. He has been coaching weightlifting since 2009 and now has the largest team in Fort Worth. Father. Dog lover. Intellectual. Fitness enthusiast. David is part of our massage therapy team. He is currently working towards a degree in Physics at UNT. After graduation, he plans to study Osteopathic Medicine at UNTHSC. He studied massage therapy at the Southeastern Institute in South Carolina where he learned that the clinical neuromuscular side of massage can really help patients recover from sports injuries. Elizabeth is part of our Run Group team at the LAB. As a long-distance runner and endurance athlete, Elizabeth has has conquered Everest, the New York Marathon, the Dallas Half Marathon and the Vancouver Marathon, to name a few. She recently completed a 50-mile RUCK in San Antonio and is training for the Grandma's Marathon in Minnesota. Long-term, Elizabeth is working towards completing a 50-mile ultra in the next 12 months. As a practicing physical therapist for nearly a decade, Garrett specializes in orthopedic injuries. When he isn’t treating athletes at the LAB, Garrett is the Director of Physical Therapy at Orthopedic Sports Medicine Institute. Jenny is a practicing physical therapist with a specialty in orthopedics. When she isn’t at the LAB, she serves as a physical therapist for the Texas Ballet Theater and the Orthopedic Sports Medicine Institute. Jake has a passion for competing and elevating those around him to reach their goals. He has been coaching since 2009 and has worked a wide variety of athletes ranging from Youth athletics to Crossfit Games Masters athletes. He went to UTD where he studied Biomedical Engineering and his profession outside of the LAB is in Medical Sales. Husband, dad, pastor, endurance training coach. Jason loves pushing hard in the gym and helping others see what we do in the gym transcends into all of life. Laura-Lisa is our massage therapist with more than 20 years of experience working on athletes of all ages and fitness levels. When she isn’t at the LAB, Laura-Lisa serves as a Certified Pediatric Massage therapist at Cook Children’s Hospital. Fort Worth native and lover of short sprints, Lauren joined enduraLAB in 2014. Lauren believes in the power of community and surrounding yourself with like-minded people who encourage you to be your best self. Melanie coaches Pilates at the LAB. She is a graduate from TCU with a rich background in ballet. Melanie has extensive training on all Pilates apparatus through STOTT PILATES®. She is skilled at working with clients of all levels and needs, from post surgical rehab to the elite athlete. Husband. Coach. Lifelong athlete. You can find him at the LAB working hard to prepare for his next competition. As a coach, Mark is always looking to bring out the best in his athletes. Makenzie is the LAB’s marketing director. She also works the front desk, coordinates events, gives a killer gym tour and can be spotted coaching on occasion. As a people-person, Makenzie truly enjoys getting to know each and every member at the LAB and is quickly learning that fitness has been a hidden passion of hers for years. Roman has experience training athletes of all levels. He played professional baseball, and is truly passionate about helping others to achieve their fitness goals. Shoe fanatic. Dog rescuer. Weightlifter. Staci grew up naturally competitive and has always participated in sports. She enjoys helping athletes find their potential and celebrates with them when they accomplish their goals.